A very happy fourth of July to my American friends, colleagues, and readers. 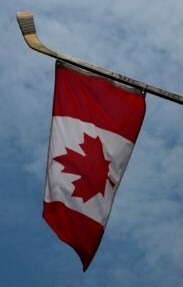 On this most patriotic of patriotic days in the US of A, I am going to write a very patriotic-themed post on … Canada. The reason is simple. Tomorrow, I will leave this hockey-loving, maple-syrup-drinking, igloo-dwelling nation for one that produces no hockey, no maple syrup, and no igloos. Living and working in China will of course be very different than living and working in suburbia Canadiana. But more than lifestyle and cultural changes, a question that has come up in my mind is whether I should be working for “the enemy” at all. After all, China is seen by many in the West as their primary adversary on the international stage. One that sells cheap crappy goods. One that sells unsafe toys. One that unfairly manipulates its currency to maintain an economic advantage. And one that continues to “steals jobs” from the West. With the disappearance of Nortel, the continuing implosion of Research in Motion, and the shuttering of many design offices (including mine), Canada is in a period of hi-tech decline while China is in a period of rapid hi-tech growth and expansion. By leaving Canada and working to build up advanced hi-tech capability in China, am I not contributing to the decline by assisting in the “job stealing”? Is there not a hint of being a seditious traitor by turning my back on a country that has nurtured me for more than three decades and working for “the other side”? Well, I guess there is, but I decided to choose career over country. I wasn’t given a lucrative economic incentive to work in China, yet, I’m going anyway. But what about you, dear readers? Would you turn your back on your country and work in China? Is there a dollar figure or job position where you can imagine yourself “selling out”? I’d love to hear your opinion on this in the comments section. I would love to have the opportunity to work for a bit of time in China! Just that, I would do it for the experience. Nope, I wouldn’t sell out for anything. I already left my home country for a time, and now that I’m back, I’m never moving moving out for an extended time. I’d take a job about 5 levels below my education, rather than leaving again. I’ve found that there isn’t enough money out there to entice me. I wouldn’t leave the U.S. for China for any opportunity, but I would love to live and work in Canada for any sort of job – lot more opportunities for curling there! There is no way that maple syrup is nasty. There are plenty of cheap imitations that is lot like corn syrup and water. Nothing beats the real thing though. It is sad that Canada, that design houses are closing down in Canada. I don’t know why technology companies cannot prosper. Does RIM hire IC designers though? I thought they were more on the chip level side though I could be wrong. I hope that companies in Canada will continue to grow. RIM used to have a lot of more IC design centres, but that has been on the decline for years. You’re not a “Seditious Traitor”. You’re doing what you need to do – which is looking out for yourself and your family. World politics is not your fault. Corporate decisions are not your fault. You have virtually no control over any of that, and to Governments and CEOs you are invisible. Do what you need to do to keep your career progressing. It takes a lot of courage to move to another country, especially one with such a different culture and not the best relationship with your home country. Hopefully this experience will lead to better things. Maybe you will get the opportunity to move back to your home country (should you want to) if corporate executives learn to plan beyond the next fiscal quarter. There’s no way to know exactly what the future holds, except that there will be change. If you can roll with the changes you’ll be in better shape than most of us.